Should the known Procera AVH side effects prevent you from buying this proprietary memory supplement? 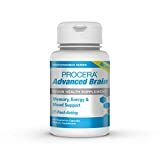 Procera AVH is a brain supplement with Acetyl L-Carnitine, Huperzine A and Vinpocetine extract. While generally well tolerated by the majority of users, some individuals do experience negative effects. The ingredients of Procera AVH have a good safety profile when used appropriately by healthy adults. All of the major active components are proven nootropic brain boosters, with demonstrated effects upon memory function. However, this supplement may not be appropriate for all users. The dosage and proportion of these elements relative to one another may have generated some negative effects and complaints. We’ll take a look at user reports and weigh them against product claims. Then, we’ll recommend some safe and economical alternatives for boosting memory. It’s important to assess the potential side effects of any supplement you take. Read on for the complete Procera AVH buyer’s guide. On their own, Procera AVH ingredients are unimpeachable. Each one of its core three components has been proven to deliver quantifiable benefits for the mind. The primary ingredient, Acetyl L-Carnitine, binds with choline in the body to produce the neurotransmitter acetylcholine. This neurochemical is absolutely critical for a broad range of cognitive functions, such as increased memory, heightened concentration, and better logical and verbal reasoning. Pure Acetyl L-Carnitine can be taken on its own to achieve all of these effects. The next major ingredient, Huperzine A, is a plant-based remedy which boosts nerve cell growth and improves brain communication through increased synaptogenesis. This effective supplement is a common component of many well-known nootropic stack products, such as Alpha Brain. The final core ingredient is Vinpocetine. This plant alkaloid is known to increase circulation in the brain, and is a strong neuro-protective against age-related degenerative cognitive diseases. Complaints of Procera AVH side effects are largely not centered upon these main ingredients, but on additives which are harder to identify. Most user reviews unfortunately focus upon side effects. Procera AVH complaints include a host of unwanted effects such as blurred vision or high blood pressure. At best, most reviews simply state that the product had no effect at all. Where are all of these negative Procera AVH side effects coming from? It’s hard to say, because the manufacturer does not include precise dosage info. The FDA has also not conducted a review of this product. Without an accurate guide to doses and ratios, computing the optimum supplement schedule can be difficult for individuals. For example, some people may have pre-existing blood pressure issues which might be exacerbated by the inclusion of too much Vinpocetine in the product. Unfortunately, it is impossible to manage the amount of this compound within each pill. The long list of preservatives and additives included may also be responsible for Procera AVH adverse effects. Anyone who wishes to explore the benefits of ingredients like Acetyl L-Carnitine will not be experiencing the same effects as if the compound was taken in a pure form on its own. These are good reasons to consider purchasing Procera’s ingredients as individual standalone supplements. One should never take unnecessary additives and preservatives when exploring nootropic cognitive enhancers. One of the great facets of the entire nootropic movement is the use of natural compounds to enhance the organic biochemical mechanisms of the brain. These supplements have become popular in part because they are an antidote to the blunt chemical effects and side effects of prescription pharmaceuticals. Procera AVH’s additive-laden formula negates this benefit substantially. Purchased individually, supplements like Acetyl L-Carnitine or ALCAR can be effectively combined in a personalized nootropic stack that is geared to individual goals and sensitivities. This kind of experimentation is impossible with Procera AVH, which does not label individual pills for content or separate core components. At as much as $60 – $80 for a one month supply, it would be nice to have more flexibility in this department. Many Procera AVH side effects could probably be avoided if better info about dosing and product contents were available. The negative reviews of Procera AVH continue to rack up. With literally hundreds of posts online noting significant side effects, we cannot recommend using this product. Word has also recently come of a class action suit filed against the manufacturer of Procera, Brain Research Labs of Laguna, California in regards to the safety issues. While this case may be settled out of court, it speaks of a lack of consumer trust in the product, based upon experience. There are other brain supplement products on the market which deliver superb cognitive enhancement benefits without the dreaded Procera AVH side effects. One of the most popular, Alpha Brain, stands in stark contrast to Procera. Alpha Brain boasts thousands of positive user reviews online. These reviews confirm what the super brain vitamin promises – clearer thoughts, better concentration, heightened memory, and powerful mood and energy enhancement. With glowing reviews like these, it seems pointless to waste time on very poorly received products like Procera AVH. Nootropic supplementation can be an exciting way to improve brain function, safely and affordably. There is no reason to compromise safety, budget, or flexibility while expanding your mind.